Joel has been a key player in our selling and buying process. His knowledge and readiness to work makes him stand out. Great agent and would use again and again! Thank you for all your hard work! I have been working with Joel for the past year, in my attempt to find an ideal location. He has been most the most patient professional agent I have come across. I would highly recommend him for the soon to be homeowners. Joel was a truly a constant professional. I highly recommend Joel and the entire Blumenfeld team. They assisted us in selling our condo and from start to finish we trusted in him. Joel's, industry knowledge, communication skills and ability get deals done is the best in San Diego. During the transaction we had the opportunity to interact with team members from the Blumenfeld Group and I can truly say Joel, surrounds himself with very highly skilled and knowledgeable individuals. We thank you for making this a smooth and stress free experience. Most importantly getting us top dollar. Thank you for helping my family. Joel helped us buy a house recently and was beyond great. Joel is a true professional all the way around. If you are in the market to buy or sell a home and your have the opportunity to work with Joel take advantage. He makes the process very easy and goes above a beyond to explain things before they happen so you a never caught off guard. Joel now has me and families business for life. All around 5 stars! Our home buying process was smooth and easy thanks to Joel. I could not have asked for a better experience. Joel delivers knowledge, responsiveness, follow-up, and negotiation skills to the table. As first time home buyers, expecting a baby and relocating cities ...my husband and I were nervous about our home purchase, it was important to pick someone that had our best Interest. I am grateful and thankful that we picked the right agent. Thank you Joel for your professionalism and for helping us achieve a dream of ours! Joel was great thru the whole process of buying our first home. He is very familiar with the local market, super responsive, and has great knowledge of the whole process. With his help we were able to win a bidding war on our perfect house and close within 25 days. His knowledge of local resources for house inspection services was also great. He was even nice enough to help us resolve some questions after we closed. I would definitely recommend Joel to anyone looking to buy a house!!! We have worked with Joel four times and will work with him again if we have the chance. Unlike other professionals who push off your question/concerns, Joel is always available via text, email or over the phone. Our properties have ranged anywhere from 300k-600k, and regardless of price point Joel has paid the utmost attention, been there for every walkthrough or open house and available whenever we needed to see a potential property. All this while handling a portfolio of multi-million-dollar homes. For Mother's Day my wife wanted to see a property. Joel was there to spend the day with us. By his own admission, he has never failed to sell a listing. As a client we have routinely seen record sales using his service (record price-per-square-foot sales in both Lynwood Hills and Rancho del Rey). For our last purchase Joel pushed to get as much as he could and even got us R&R's they were originally denied. He also made sure that the seller made good on all their promises (in a timely manner) and that the work was done correctly. Utilizing his service and providers we have found the lowest rate possible rate and have never missed a deadline. We have been able to remove our contingencies surprisingly early, every time, due to his attention to detail. As a family, we highly recommend Joel, and would deal only with Berkshire Hathaway and the Blumenfeld team in particular. Joel helped my wife and I buy our dream house. He always promptly returned our text messages. Joel is a great negotiator. The price we paid for our home was below the asking price and appraisal. Working with Joel was extremely helpful while going through all of the processes involved in purchasing a home. His knowledge and expertise really made it seem easy. I totally recommend Joel to anyone seeking a diligent and knowledgeable realtor. I am a real estate agent and picking Joel to represent our house was one of the best decisions I've ever made. They say doctors make the worse patients and as is the case it was strange to be a seller and not an agent. Joel was on top of everything and went the extra mile. We were out of town and he took care of all the details. He helped negotiate a great price with excellent terms and very little effort needed from us. Very pleased to recommend him. We just bought our second home with Joel's expert help! Joel was such a wonderful guide and resource when we were first time home buyers, he was the only person we considered when we decided to purchase our second home. Joel is always positive and professional and kind. He makes time to get to know you and makes sure he understands exactly what you're looking for. He gives you his professional opinion and advice, explaining the pros and cons of each property you are interested in, but never pushes you to make a purchase. If you email, call or text him, you can be sure you will receive a prompt response. If he doesn't know the answer to a question, he will let you know he is looking into it and will make sure to get you the correct answer. We have recommended him to family and friends and everyone who has worked with him has been extremely pleased with his knowledge, expertise, responsiveness and negotiation skills. We highly recommend Joel and wish we could give him a diamond rating, not just green stars! Joel Blumenfeld is a spectacular Real Estate Professional. I recently moved to San Diego from across the country. While visiting San Diego before the move here, Joel helped me look at a variety of homes/condos, which helped me target what I wanted quickly. When I made an offer, Joel was excellent negotiating with the seller. The home inspection turned up a few items that needed to be repaired, and Joel went out of his way to be present for the repairs and inspect the repairs for completeness before the closing, totally over and above expectations. We had some issues with the escrow company, which was located in Los Angeles. Joel handled every aspect of this real estate purchase, including working with the escrow company and at times the mortgage company, with five-star expertise and care. I come from a family of Real Estate Professionals. Joel Blumenfeld is the most thorough and expert Real Estate professional I have known or worked with. You will be very happy to be working with him. I have already recommended him to several colleagues. Joel Blumenfeld at The Blumenfeld group is so very professional and patient. He helped me through the buying of my condo from start to finish without missing one step. I would recommend him to any of my friends and family, I will definitely hire him again if I am lucky enough to purchase another piece of property. Joel and his associate Stephanie Pitell-Valdez were of the utmost class and professionalism during our recent home buying and selling process in late 2017/early 2018. Their attention to detail, vast knowledge of the local real estate market, and representation of us as customers really made our experience simple and enjoyable (and profitable!). We were able to capitalize on key opportunities and find a great new home in a wonderful neighborhood, due in huge part to the time and expertise that Joel and Stephanie provided for us. I would HIGHLY recommend Joel and his team for any real estate needs, as they truly were an advocate for us and assisted us through the entire process. Thanks again to the Blumenfeld Group team! Joel is a fantastic agent to work with! My fiance and I were initially assigned to work with a different agent who did not meet our satisfaction, and on the recommendation of my sister, we switched to Joel and we could not have been happier. He was patient, listened to our needs, made time for us despite our crazy schedules, and knew which areas to point us towards. The home we ended up purchasing was one that he recommended and we are really happy with it. If you are looking for an agent, I highly recommend Joel due to his professionalism, attention to detail, friendliness, openness, and great negotiation skills. You could not do better! Joel was fabulous to work with. He walked me through difficult decisions, providing professional advice, but always allowing me the final decision. He was so responsive to any questions, concerns I had. My house sold within days. I was very happy! Joel was great - from start to finish - helping us prepare to put our home on the market, and getting it sold over-asking within 48 hours of listing. We would 100% use him again for any real-estate transaction in the future! Joel was so helpful, knowledgeable, friendly, and professional. I highly recommend anyone who is looking for a realtor to contact him. I loved working with him. He would always contact us back right away if we had any questions on anything, and he worked hard and diligent to get the price we wanted for our house. We absolutely recommend Joel with no reservations. He was incredibly responsive and available and was well versed in all aspects of procedure, negotiation, and neighborhoods around San Diego. With his help (despite bizarre situations with our lender and previous owner/tenant) we were -able to close (below appraisal and with significant buyers' credits) on a house where we know we will happily raise our young son. Highest recommendation. Joel is very professional and down to earth. He got me top dollar selling my condo over the holidays with no hiccups in the process. He’s a top notch agent! I recently moved from San Diego to Washington DC for work, and Joel handled the sale of my home. From our very first meeting, Joel demonstrated his vast knowledge of the local real estate market and his expertise in successfully marketing a property. Although my home wasn't the largest in the area, Joel recognized some strong selling points that were specific to my property and suggested a few minor improvements that would maximize our asking price. Joel was always available to answer questions, no matter when I called, and even provided input into what flooring and wall color would be best for the property size. I relied heavily on Joel's expertise and marketing strategies, and it paid off. Within the first week, we had multiple offers over asking price, and Joel was able to secure an offer that was much more than either of us were expecting. I would 100% recommend Joel to anyone looking to either buy or sell a property in the San Diego area, and when I return from DC, I will absolutely use him again. I couldn't be happier with Joel. Thank you Joel, for everything you did! Joel gets 6 stars from me. The extra star is for honesty and integrity. Needless to say, if you are buying or selling your home or investment property, Joel will steer you in the right way. He is a good, fair and a hard working negotiator. I will use him again. Joel listed and sold our townhouse for us, while we were out of town, and set the record for the highest price any unit in the complex has ever sold for, even though it was smaller than other recently-sold units. We had to move out of town before we could list the place, and there was still work being done on the unit at the time. Joel worked with our contractor to make sure everything was done. He took care of almost everything, and the few things we needed to take care of, he let us know about. The whole process was remarkably easy. I give Joel my highest recommendation. I think I am very lucky for having Joel as my real estate agent. Joel is amazing!! He is very professional, knowledgeable, responsive, and down to earth. He is someone that you can depend on in every aspects. I will definitely hit this guy up for my next home purchase as long as he is still working as an Real Estate Agent. I would recommend Joel to anyone out there doesn't matter if you are first time buyer or seller. In all my years of buying & selling homes, Joel Blumenfeld is the most honest, respectful and helpful real estate agent I have ever worked with. He works tirelessly to ensure your needs are met, that you have complete confidence in the decision you are making and that your transaction is smooth and painless. In times of "fly-by-night" profit-driven real estate, you can rest assured that Joel is well established in his industry and that he has thorough understanding of the San Diego housing market. Both are critical to brokering high-stakes negotiations and providing clear, objective guidance based in facts and his extensive professional experience. His patience is exceeded only by his integrity. Hopefully I won't need a sell or buy a home anytime soon, but if I do, Joel will be the first person I call. Joel was amazing to work with. He sold our house in one day! we received 8 offers and ended up accepting an offer that was 16k over asking. He is knowledgeable, patient and informative. He truly cared about what was best for my family and I and became a friend in the process. Anyone who uses him is in good hands !!! Joel was great! He is extremely professional, responds immediately, and is very knowledgeable about all areas of San Diego. We spent a long time looking for an investment property and Joel was extremely patient and we never felt rushed. After the purchase he helped us to find tenants by providing tips and feedback on our rental listing. Joel shows up to all inspections and knows the right questions to ask of both the inspectors and the owners to make sure his buy side clients are protected. I would (and do) highly recommend Joel for any real estate needs in San Diego! Joel is hard working, knowledgeable, responsive, and straightforward. A great agent. We sold the property in 8 days, all cash, at the price he predicted. He did a beautiful promo job, and conducted every viewing. We were relocating from Nashville to San Diego and Joel was selected from my fiancé's company to be our relator. He went above and beyond to not only show us amazing homes, but also made sure to get us familiar with all the different parts of San Diego. He even provided us with local food recommendations, as he knew we were eating out for every meal. Due to our hectic schedules while moving, a lot of our communication had to take place via text or calls and Joel was always incredibly responsive. He not only lead us to find our dream place, but was there every step of the way through escrow, contractors, home inspections etc. We would definitely recommend Joel to anyone we know is the San Diego area and will use him again in the future! It was a rough journey but thankfully I had an experienced real estate agent that was by my side the entire time. He knew what I was looking for and he found it, through the difficult time of buying a condo in San Diego he made it a lot easier than I could've ever expected. Joel is very responsive and available and seemed to be very knowledgeable about the market, he even worked with the HOA to find out detailed information and help answer any questions that I had. He is a friend, my Realtor and I highly recommend him! Joel was wonderful!!! He provided a seller, was VERY knowledgeable, VERY professional and accomplished everything in a timely manner! Joel made a bittersweet time of selling the family home go as smooth as we could have ever expected!! I have used Joel's services to purchase and sell on two different instances and both times I couldn't be happier with the professional service Joel offers. The last sale and purchase was incredibly emotional and difficult due to a death in the family and Joel was there emotionally and did everything he could to make that process easier. I can not say enough fabulous things about Joel! He is a friend, realtor and someone who actually cares about the investment his clients are making! Not only will I use Joel's services again but he is my family's realtor for life!!! -Valentina B., Ryan & Lana L.
Joel is very knowledgeable when it comes to A) neighborhoods in San Diego and even the numerous multi-unit complexes in SD, B) what to look for and note in the units (ceiling to flooring and everything in between) and C) negotiations, the escrow process, market trends, and everything in this area. Furthermore he's highly motivated, very responsive, and is very much on top of things. He did not rush me when I was looking at properties, I definitely felt as though he had my best interest in mind. I will seek Joel out when it comes to buying or selling property here in SD. I sold my home for more money than I expected and in less time than I anticipated. I also currently live outside of the country so for him to be able to facilitate this sale with no issues was very impressive. I would highly recommend him for anyone looking for a Realtor. Joel is excellent to work with, has a great knowledge of the San Diego area and is very responsive. He spent time with me helping me understand the markets in the area and was willing to took into any house we found. We would highly recommend working with him. Joel is amazing! I was interested in a foreclosure property, and Joel was there for me the entire time and ensured that I understood every step of the process. With his help I was able to get my offer accepted (even with other cash offers on the table) and he even negotiated an escrow credit for me. He immediately responded to all of my emails and texts, and was a joy to work with. Joel will definitely be the realtor I use for my future home purchases! Joel was awesome! He helped us negotiate an amazing price on our home and kept us informed of everything throughout our purchase process. We never felt pressured and were confident that everything was going smoothly. He was easy to work with and very responsive to our many questions. I would highly recommend Joel to anyone who needs a knowledgeable and professional real estate agent. Joel had a good knowledge of the SD real estate market. Once I found a property, he helped with negotiation's and once in escrow, had a great understanding of the process to ensure everything went smoothly and on schedule. I would highly recommend Joel Blumenfeld as a realtor. He was very client focused and committed to finding us a perfect home. He was knowledgeable and explained the process thoroughly. His negotiation skills were phenomenal and allowed us to purchase our dream home with multiple offers on the table. Joel was very professional, honest, helpful, understanding, realistic and an excellent communicator. I would recommend him to everyone that is looking to buy or sell a home! We had a long list of wants in a new home and a strict budget. Joel helped us navigate the process from beginning to end with patience, professionalism, honesty, and diligence. He makes you feel like you're his only client and his only goal is to find you the perfect home. And he did! And the process was seamless. Joel is by far the real estate professional you want to work with if you are looking to purchase a home in San Diego with ease and you want to work with someone pleasant and hard-working. We had such a great experience working with Joel. He was always on time and attentive, but never pushy. He guided us and gave us advice as first time home buyers, but also listened to what we wanted to do. Joel always worked with our hectic schedule and made himself available. He made the purchasing process smooth and relatively painless! We hired Joel and mark after having a bad experience with another brokerage . Both Joel and Mark were fantastic . They are professional, honest , knowledgable and understanding agents . They sold our home in record time without any stress . They Personally showed our home to each client and took care of all the details . We would recommend them to anyone who needs a truly professional and caring real estate agent. We just bought our home in San Diego last week. Thankfully, the whole home buying experience was exceptional with Joel. He is very sincere and just really great to work with. He has been very patient and helpful, and we felt that he really cares about us getting the right home rather than making his sale. If you want to have a real estate agent helping you to buy the right house in the San Diego market, that person is Joel Blumenfeld. His knowledge of the market is both, broad and deep at all levels. He is quick to respond and in many cases anticipate your needs. He provides unbiased advise to help you decide in the purchasing process. In addition to it, he has excellent people and negotiation skills while dealing with sellers. Joel also has a superb network of highly qualified and reliable professionals that can assist you in the process of purchasing your house, such as inspectors, handymen, contractors, appraisers, etc. Joel understands the local market so well that he is able to assess present value of a property, as well as to anticipate its potential future value with impressive accuracy. I highly recommend Joel as the agent of choice for helping you buy your perfect home, especially in a competitive environment as the San Diego metropolitan area. If I was to ever buy another property in San Diego, I know who to call to help me: Joel Bumenfeld. GM. Joel took us to see many properties and accommodated all our needs. We were relocating from the mid-west and needed to trust his knowledge of our tastes (and budget) when the right house came on the market. As it happened, neither my husband nor I were in San Diego when we saw a posting of a house we loved. Joel toured the house for us and answered all the questions we would've asked if we had been there in person. We made an offer with only having seen pictures of the house and we are thrilled that our offer was accepted! We first spoke with Joel when he was assigned to us through a home buyer program at our credit union. We were a little nervous working with someone we didn't know, but the nerves quickly disappeared after meeting Joel. Not only is he extremely knowledgeable about San Diego and the real estate in the area, but he also understands how stressful and confusing everything can be when buying your first home. He took time to explain things to us, helped us figure out what we really wanted in a house and always made himself available for whatever we needed. He was great to work with and would recommend him to anyone who needs a realtor. Joel has helped me purchase and sell properties across San Diego county for investment purposes for the last few years. He has done a very impressive job. I received top dollar each time and sold quickly. He is always available for questions and has worked very hard. I would highly recommend! Joel was incredibly knowledgeable and helpful throughout the home purchasing process. As a San Diego native, Joel knew a great deal about a the area and had the communication skills necessary to properly educate me. Still, most impressively, he was extremely timely in his responsiveness (email, text, phone, etc.) and worked effortlessly to ensure the process went as smoothly as possible. I would highly recommend Joel to anyone looking for a responsible and knowledgeable real estate agent. 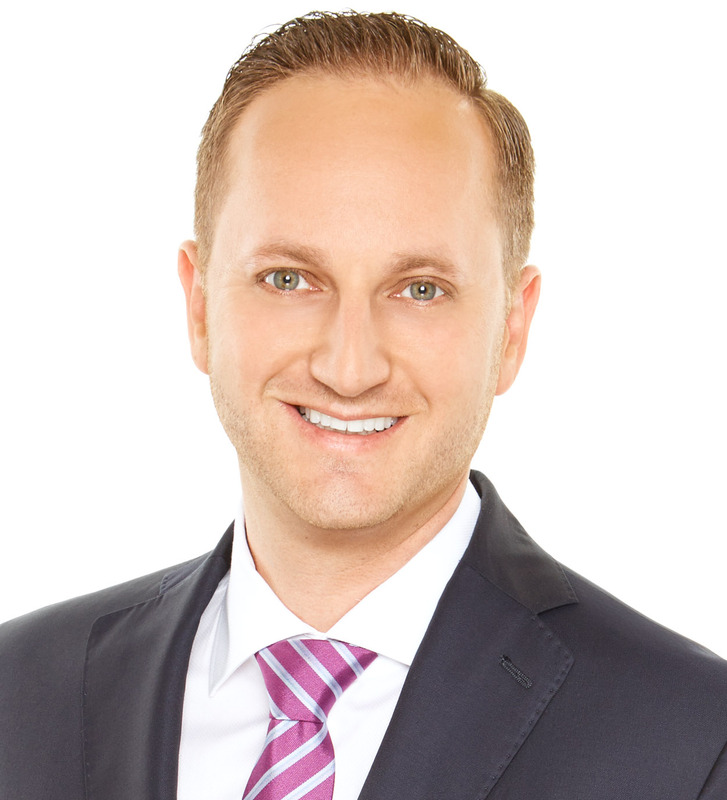 Joel Blumenfeld is simply the best you can get whether you are a seller or buyer. I am usually a tough customer in giving anyone a "grade" but Joel warrents outstanding on all five elements. Here is why: 1. His knowledge of the market is outstanding. 2. Honesty is in his DNA and he will give you the facts and his opinion if you ask. 3. If there are questions or open matters he doesn't string you along but gets you answers. 4. Should you have questions about the value of a listing, he has access to provide you historical information if you want to review it. 5. Joel doesn't do the "bare minimum" EVER. He make sure you understand every step of the process and provide guidance all along the way. 6. Tell him what you want and he will do what he can to find your dream and make it happen. 7. He is available or returns calls promptly. 8. He is networked in the area so if you want a warranty, need a pest inspector, additional mortgage options....ASK him! Using Joel as your realtor can make the daunting/scary process a great experience. I will definately use him again and continue to refer anyone I know considering buying or selling to him. We are first time home buyers and don't have any immediate family in the country to help us navigate through the process. We went to a few open houses by ourselves and met a number of Realtors; most tried to have us sign contracts to work exclusively with them that we were wary of doing. We met Joel Blumenfeld at a class sponsored by SDCCU and were immediately struck by his professionalism and friendliness. He didn't ask us to sign a contract and explained that he wanted us to remain working with him because we wanted to work with him and not because of a signature on a piece of paper! He didn't ask to fill out a variety of forms to find out about us and our needs. He made the effort to actually talk to us as we looked at different properties to get to know us and figure out or needs, likes and dislikes. He gave us access to an online portfolio he created specifically for us and had us let him know if we had specific questions or if we wanted to look at any of the ones listed. He was even willing to research properties not listed on the portfolio that we had seen while driving around or that we found on line. If he was not available at a time we wanted to look at something, he always responded with other times he was available. Joel always responded to calls and texts almost immediately, early morning or late night!! As we looked at numerous properties, he pointed out features and potentials but never tried to "sell" us a property. We were always impressed by his knowledge of areas in San Diego and his knowledge of building features and upgrades. Being first time home buyers, we had multiple questions and sometimes asked the same questions more than once! Joel was always patient and always made sure out questions were answered. He also provided us with a variety of resources throughout the process. We were working under a time constraint and almost didn't find a property but Joel remained his positive, cheerful, understanding self and never tried to rush us into buying anything. We finally did find something we liked and Joel was amazing with helping us through the process of making an offer and negotiating. Joel really got to know us as people and not just clients and was always willing to go the extra mile. Once, Joel came to meet with us soon after a business meeting and was in his very formal suit and tie. We wanted to take measurements of the bathroom stall. Joel never hesitated for a minute and bent down, reached across and took all the measurements for us!! We are proud new home owners and extremely happy with our purchase. Joel helped us find a home not just a house! We couldn't have done it without him and if we ever need to sell or buy another property he's the only Realtor we would consider working with. Joel is an expert Realtor and an amazing person! We cannot recommend him highly enough. The stars up here should be gold! I live in Virginia and needed to hire someone in California who was knowledgeable and reliable to handle day to day matters of selling a house in La Mesa. Joel certainly was the right man for the job. Not only did Joel properly addressed issues as they came up, it was apparent he took the extra efforts to ensure the house was properly advertised and received attention from other realtors. Prior to listing, he walked through the property and made recommendations on how best to show it. He hired an excellent photographer and used quality material for pamphlets and flyers. These extra steps conveyed a sense of quality that the property held and the subsequent offers were earnest. Joel’s real estate experience made the entire process very smooth. I would certainly recommend Joel to anyone who wish to list their homes. We live in WI and needed to sell our Aunts home. Joel was there the extra mile at all times. He helped out all night after an emergency we experienced and then followed thru quickly and effortlessly with all details. He even negotiated work that needed to be done so that we were not paying the high price from 2000 miles away. We were very happy with the end results. Was very pleased with Joel’s knowledge and hands on approach. Even though it took a long time to sell my very unique home, Joel never got frustrated or stopped putting forth maximum effort. He got the job done! I enjoyed having Joel as the listing agent on my property. He made the transaction quick and painless, and provided excellent service. I highly recommend him! Joel handled the sale of my home in San Carlos and guided me through prep work, staging, viewing and escrow/sale process. His advice was spot on, and attention to my needs immediate. I also felt that he was very insightful into the exciting, scary and kind of sad emotions that were flowing through me during this process. The house was on the market for only 1 week and we were inundated with viewings and offers. Our list price was well designed and we received offers from the 95-104% ranges. I strongly suggest if you are thinking about selling/buying a home, talk to Joel. I feel very fortunate to have had Joel guide my husband and I through our first home purchase. Starting from day one, Joel never ceased to impress. His dedication never wavered, his round-the-clock correspondence was practically immediate, and he always went the extra mile when I least expected it. It was refreshing to feel comfortable and trusting with an agent, and my husband and I instantly recognized him as genuine and honest. We look forward to recommending him to all our friends and family who want a quality professional, and who will help meet your real estate needs with consistent enthusiasm. What an amazing experience. My first home buying experience was so stress-free all thanks to Joel! He is professional, knowledgeable, and very responsive. He made us feel really comfortable with any and all decisions made. He is a such a pleasure to work with and I would recommend him to everyone! I know I will most definitely work with him on our next purchase. Joel is a very determined young realtor. He works very hard to help you find your dream home and does everything in his power to get you that place. He is very kind and caring, always follows up and gets the job done! Every realtor should be like Joel! I was in a relocation situation with my company and under the gun to sell my property. Joel was the perfect fit for helping me sell my condo. From the word go, Joel had a marketing strategy in place. He’s attentive and not easily frustrated. He was quick to respond to every one of my questions and I have to say, he’s at the top of the realty game. I’m extremely pleased with the results I got. I would, in a heartbeat, recommend Joel to anyone looking to buy or sell property. He is genuine, charismatic, insightful and honest. If I ever move back to the San Diego area, I know exactly whose phone number I’ll be dialing. We interviewed multiple agents when it was time to sell our rental property and we found Joel had a great marketing strategy and energy. He had a very good knowledge of the market and was very aggressive with advertising and showings. He kept us informed almost daily of activity and interest in our property. In the end Joel was the very best agent we could have possibly had and his company was able to handle all phases of the sell in-house and that made it very quick and easy to complete the sell on time. We would recommend him to others. Joel did a sensational job in handling the sale of my condo. It went from listing to escrow in just five days! He found a terrific buyer that hit our target price almost right out of the gate, thanks in large part to the work he did in preparing/staging the house, getting terrific photos taken of the unit, etc. He is a tireless worker and an excellent communicator. I recommend him to the fullest! If I could give Joel 10 Stars I would! Joel listed our condo and sold it for the highest price in the last 5 years for that model! What else can I ask for??!! with buying our new home, without Joel good name and rep, our offer would not have stood a chance! Joel, what you do is amazing! and thank you for our new home! I want to give a HUGE thank you to Joel Blumenfeld! Our house sat on the market for over 2 months with our first realtor. Within 2 hours of Joel listing it we received 2 great offers! We just closed escrow and sold it above asking price. Joel you have (and still are) going beyond what are expectations are. Your professionalism and dedication has not gone unnoticed! Thank you So Much!!! Joel helped me purchase my first investment property. He explain all the different locations and rental opportunities out there. After a thorough educational process on his end we decided on the exact location we were looking to invest which has provided us with tremendous cash flow. Currently we have been getting 13% cash on cash which is unheard of in today’s San Diego real estate environment. Thank you Joel. Joel was great throughout the whole process of finding us a home. Anytime we had a question, he was very quick to respond. Joel provided us with timely information and literature to help us make an informed decision. He made the stressful process of finding a house go very smoothly. Joel also got a glowing revue from the sellers real estate agent, stating how professional he is and easy to work with. He is highly recommended. Joel is a good person and a great real estate agent. He marketed my home well and worked with me and the other agents to get my home sold and escrow closed in less than three weeks. I could not be more pleased with Joel Blumenfeld as a real estate professional. I definitely recommend him. Joel and Steven helped me and my fiancé purchase our first home. Though a short sale, they helped make the process easy and quick. They were knowledgeable, responsive, and they did an amazing job at making us feel like we were their only clients. We will definitely be referring our family and friends to Joel and Steven in the future. Couldn’t have had a better experience buying our first property! Joel helped us sell a home in a tight market at exactly the price range we wanted. Throughout the whole process, he was diligent, professional, and explained all of our options carefully and thoroughly. It was a real pleasure working with him and would 100% recommend using his knowledge and expertise for your real estate needs. Joel was a great agent and was instrumental in our purchase of a new home. Our home search took about 5 months and Joel was there every step of the way. He responded to emails and inquiries quickly, which was extremely helpful. I can’t recommend him enough. Joel helped us get into a nice condo in Poway. He located three different properties that we made offers on. We are very happy with the one that we got. Great location, right price and within our means. A lot has changed since I last owned a property over twenty years ago. Joel helped us get the thru escrow and with a very good loan. So much paper work now that everyone needs a professional to help guide them thru the process. I would recommend Joel to first time buyers and everyone that wants to buy that dream house that we all want. Joel Blumenfeld is an outstanding real estate professional in every way. Joel is considerate, polite, careful, throughout, responds almost instantaneously to all emails, texts, and phone calls, and is exceedingly creative and thoughtful in presenting the home. He does all his own open houses and never “farms” it out to another agent. Although our house was new construction and every potential buyer loved the house, there was an extenuating issue in the neighborhood that was a potential problem for buyers. Joel looked at every possible way to find buyers that this was not a problem for and who could see what a great value the home was beyond the temporary neighborhood issue. The home took many months to sell for this reason and we became very discouraged and were going to take off the market, but Joel was never negative or discouraged – he always believed that every home had the perfect new owner and we just had to be patient. At the same time our neighbor was trying to sell her home and had same neighbor issue. Her agent was recommending drastically reducing the price for a quick sale but when time came to renew agreement she choose to go with Joel instead. He ended up selling both our homes within just days of each other. We live out of town and my neighbor is elderly so Joel went out of his way to help with the final details and the sells went through quickly without any issues or delays. The smoothest sell transaction any of us had ever experienced – and that is saying a lot in today’s markets. We recommend Joel Blumenfeld without the slightest reservation and would use him again. Indeed wish we could use him where we currently live! Joel was very helpful with getting us the exact house that we wanted! He managed to get us (Husband and Wife) through the process of buying our first house-- making the process much easier than we would have imagined it could be. He was very available and responsive when it came to answering questions, and being able to take our phone calls and show up when he was needed for an appointment or to do something at the house we were buying. My wife and I feel very fortunate to have worked with Joel in the purchase of our condo. He explained everything thoroughly and quickly responded to all our questions/concerns. All went quickly and smoothly thanks to his expertise and immediate attention to every detail. He is an outstanding real estate agent, and we highly recommend him to others who wish to buy or sell property. Joel represented us buying our first house. It was great to have him as a guide, he walked us through every step of the process in great detail, and was extremely responsive. I don’t think there was an email i sent that didn't get answered pretty much right away, it was great. Whenever he could he took workload off of us (getting documents together, following up with various parties, researching our thousands of questions, etc), which made the whole process so much less stressful. He was very open and honest through all parts of the deal, which made us feel a lot more comfortable as first time buyers. He was not pushy at all and we didn't feel pressured to do anything, but was 100% ready to go to bat for us for anything that we decided on. Buying a house is hard enough, i can't imagine how much more stressful it would have been if we had not had an agent who made a big effort to make things easier for us and kept us very well informed the whole time. Would highly recommend! Overall it was a pleasure to work with Joel. I very much appreciated hearing from Joel (via phone and email) in the evenings and on the weekends when I needed to communicate rather than when it was convenient for Joel. The extra effort to keep a high level of communication was very much appreciated. Joel was also very flexible when working with the management company I was using. I live on the east coast and didn’t have time to manage things in detail and Joel understood my situation made things work. Lastly Joel was ‘spot on’ when it came to recognizing a buyer that was not serious or lacked the resources to fulfill the sale. This insight was valuable to me as a vacant house not sold is money out the door.